The first vaccine against malaria could potentially help eradicate deaths from the disease within two decades, scientists have claimed. Although the drug has only shown a partial effect, it nevertheless represents the most clinically-advanced vaccine against malaria to date. “We finally have in our sights a candidate vaccine that could have a real impact on this terrible disease that affects many children during their first years of life,” principal investigator Kwaku Asante said in a statement released ahead of World Malaria Day on Saturday. “The large number of children affected by malaria, sometimes several times per year, means that this vaccine candidate, if deployed correctly, has the potential to prevent millions of cases of malaria,” Asante added. The British pharmaceuticals giant GlaxoSmithKline (GSK) has spent 30 years developing RTS,S. During trials, 15,500 children in seven African countries were given the vaccine. The results showed that Malaria cases were halved in the first year. Although, as time passed, protection wore off (dropping to 28 percent after four years), cases were still reduced by almost a third. Children who received a booster – meaning an extra dose – showed a significant defense against the disease. The extra dose increased the protection rate in the fourth year to 36 percent, the study claims. 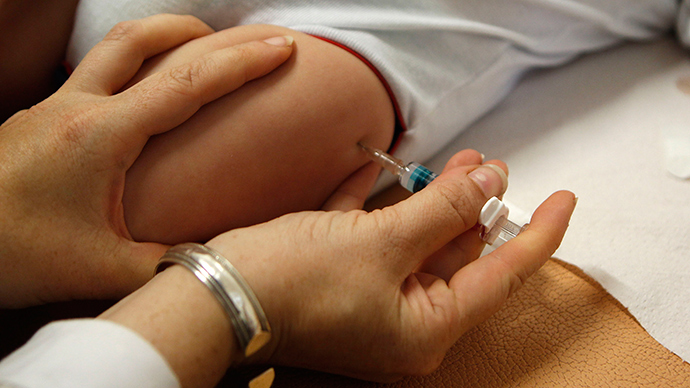 The final results indicate the World Health Organization (WHO) will recommend routine use of the vaccine as early as this year, if regulators approve. The results were published in The Lancet Infectious Diseases reports. Study co-author Brian Greenwood of the London School of Hygiene and Tropical Medicine, told Reuters: “The results are not quite as good as we would have hoped, but it still works.” However, he is still hopeful the new vaccine could prevent numerous deaths. “Given that there were an estimated 198 million malaria cases in 2013, this level of efficacy potentially translates into millions of cases of malaria in children being prevented,” he said. “Unfortunately, this is not as big an effect as that seen with some other vaccines,” like that against measles, he told AFP. The mosquito-borne disease kills some 600,000 people each year, of whom more than 75 percent are children under the age of five, according to WHO. The disease kills about 1,200 children in sub-Saharan Africa on average per day. Often, people die of malaria because they don’t have access to quality healthcare. Last year’s Ebola outbreak has drawn renewed attention to malaria and the lack of sufficient health care in many developing countries.